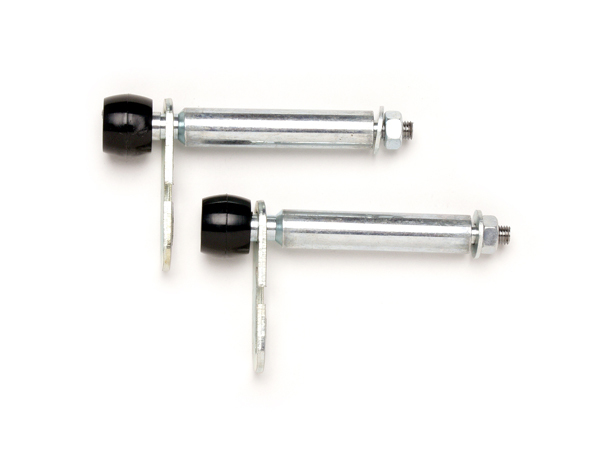 Garador garage door guide rollers with spindles to suit Garador Mk3 vertically tracked canopy garage doors with an over head spring unit. Includes 'G' brackets. nuts and washers. Spindle length 89mm from under head of roller with a roller diameter of 21mm. ▪Don't forget to check the condition of your garage door cables when replacing your spindles, as this would be an ideal opportunity to do this. Fitting Instructions will be included,technical advice on request.